What a wonderful author! Her books look inviting and fun! Today's post helps to understand yesterday's--regarding Harold's blunt questions being the result of Alzheimers. Tells me a LOT! Would love to win this. desertrose5173 at gmail dot com. Thanks. Hi, Dee and Carmen! 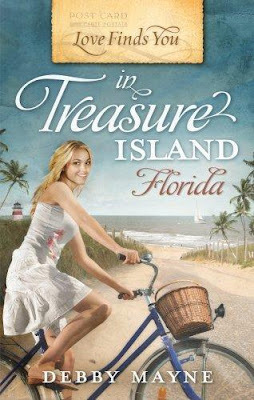 I loved writing about all the relationships in Treasure Island. I think most people will see someone they know in at least one of the characters. Awesome interview! Lovin' these, Peej! I bought this book last week and can't wait to get to read it. What a great cover!